New head specs are being put in place for the NCAA and all high school and youth leagues playing under NFHS (National Federation High School) rules. Youth Leagues playing under US Lacrosse rules are not subject to these rule changes at this time. 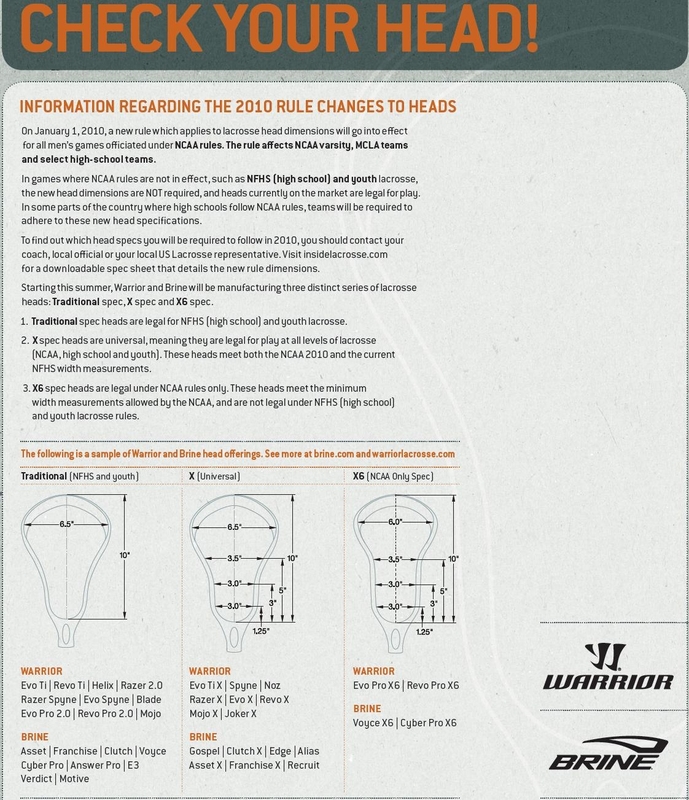 However, please note that LS Lacrosse recommends that if you are purchasing a new head that you purchase one that follows the NFHS/Universal specs decsribed below.